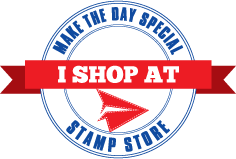 Make The Day Special Stamp Store Blog: Easel-y the Cutest Dog! Hi! 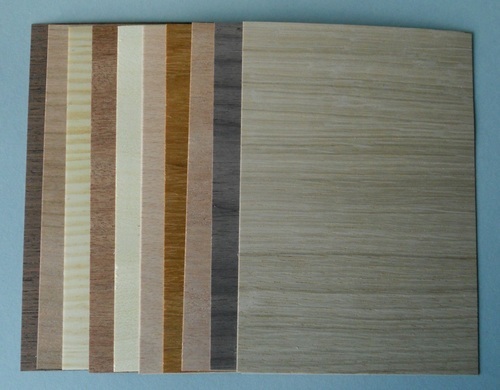 I've been having fun with parquet..or more precisely, pretend parquet! 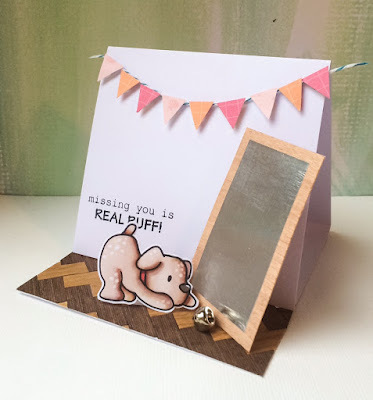 I was looking at the Playful Pups set from Mama Elephant and I somehow had an idea for a room and then the easel card developed from there! To make the mirror, I just cut a rectangle of thin adhesive metal (plumbers tape) and stuck that onto a sheet of wood. It gives the illusion of a framed mirror without all the hassle! The easel part is pretty straight forward, just a piece of cardstock, split into 3 not quite equal parts, scored and folded. Hopefully this photo makes more sense! You're probably wondering how you'd get it into a card? Well, if you get a thin strip of acetate, fold it into a cube shape (4 sides plus a bit extra for adhering) and stick it to the back of the mirror and dog, it will actually fold flat(tish). I've just used small pieces of left over paper to create the bunting. 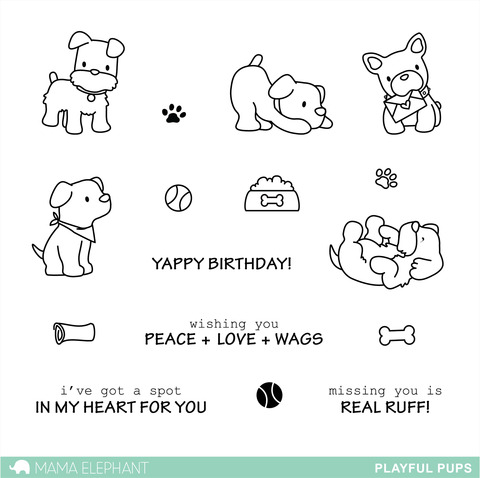 Stamp the sentiment and add on a little bell to make the dog look like he's playing with it! Hope you give this type of card a go, its so easy and is something a little different. Trying out a patterned wood floor was good fun too. I wish I could create a real life one on my kitchen floor! That's adorable and so creatively clever, Keren! I have this fun set, and I love the way you've used it "outside the box"!! !